Average Home Prices In March 2017 Inch Close To A Million! Home|Blog|Articles|Average Home Prices in March 2017 Inch Close to a Million! Just when everyone thought that the housing market couldn’t possibly get more over-heated, the unexpected has happened. Prices shot up again by unprecedented margins this March. As per the month’s report, the average single detached house in the GTA sold for $1,214,422 last month, up from $910,375 in March 2016 – a whopping increase of 33 percent. The acute shortage for single detached homes had an effect on the other housing segments in the GTA as well, with each of them seeing a sharp increase in prices. Semi detached home prices increased by 34.4 percent, townhouse price was up by 28 percent, while the price of condos went up by 24 percent. The worrying aspect is that even subject experts and economists are scratching their heads about the real cause behind Toronto’s exploding housing market. The last time Toronto came anywhere close to a housing crash was in the early 90s when homes lost 25 percent of their value. However, since then, the market has shown a steady year-on-year increase of 4 percent in real terms – until the past year when it rose to a shocking 30 percent. What could have caused this surge? Experts say the situation is beyond the simple demand-supply logic. Salaries in the country have barely gone up by 2 percent; the GDP has grown only at a nominal 4 percent; and the inflation rate is at 2 percent. 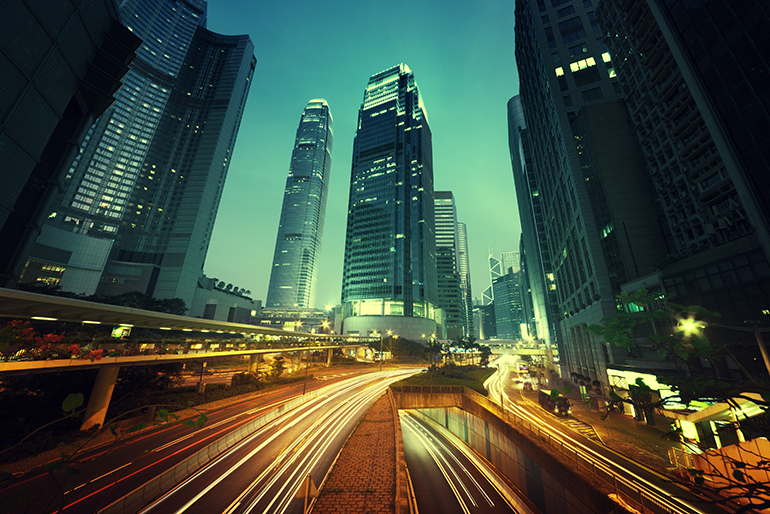 What then has provided fuel to the housing industry to pick up such unrelenting speed? 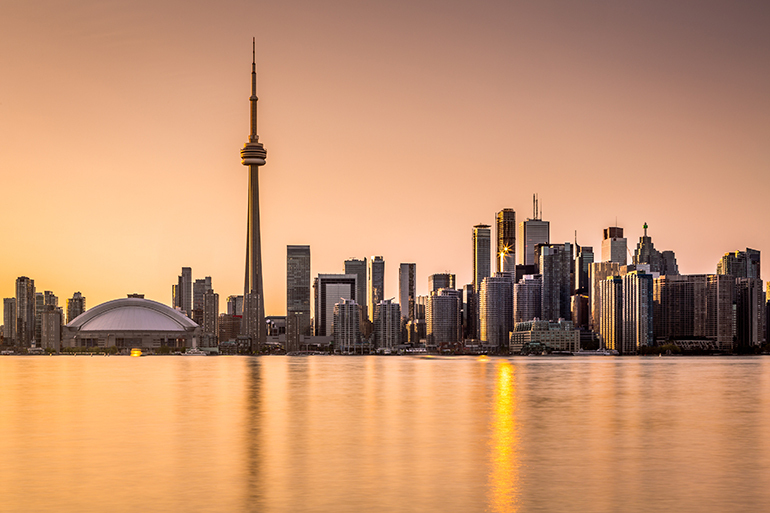 There seem to be no concrete answers, but analysts believe that foreign buyers have a role to play in overheating Toronto’s housing market. The other reason is the desperation among home buyers chasing comparatively fewer homes for sale. Many buyers are seized with panic that they may never be able to own a home if they don’t make the move right now. The phenomenon is described as FOMO – Fear of Missing Out. The scarcity of homes, at least in part, is one of the reasons for the unnaturally high home prices. The number of properties listed for sale was up by 15.2 percent from the same time last year, but the number of sales rose by 17.7 percent, thereby widening the imbalance. Houses put on sale would remain in the market for 16 days until a year ago; now they are snapped up in 10 days, and often over the asking price! Most experts are now of the opinion that a substantial period of months when listings growth is greater than sales growth will be required to bring some sanity to the market. However, when that will be, no one knows. Don’t let the ambivalence around the housing market set you back in your plans. Luxury condo developments are available in the downtown core. These are excellent choices for young professionals, empty nesters, and first-time buyers considering a home for ownership and investment. A condo in the throbbing downtown area comes with obvious advantages – it cuts your commuting time and affords you a lifestyle quite different from the one you would find further away on the outskirts of the GTA. 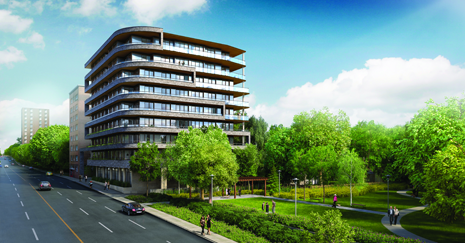 The Davies located right next to Robertson Davies Park at Avenue Road, combines convenience, elegance and green living. The mid-rise condo building offers sophisticated interiors and finishes, luxurious amenities, great outdoor settings and a wonderful location. 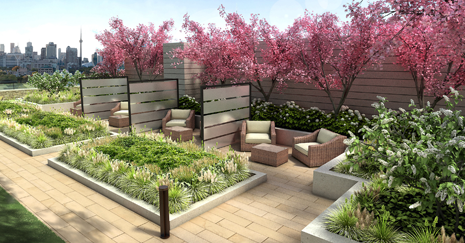 The Davies is minutes away from Yorkville – a place that is a delightful mix of both modern and classic. It has a busy, commercial side to it, with upscale shopping centres, top-of-the-line hotels and restaurants. It also has a refreshing European vibe with beautiful sidewalk cafes, boutique stores, art galleries, old-time eateries, lush green neighbourhoods and Victorian homes. 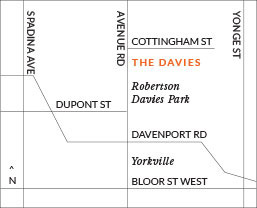 The Davies gives you the perfect options for local schools, and is walking distance from the TTC. Find out more about this new condo for sale in downtown Toronto. Contact The Davies at 647-360-9588 to book an appointment or register online for more details. Check our floor plans and work with our team to find the best option for your new home.